Missing a few days of work due to an injury can be financially challenging. But when someone sustains a serious neck injury at work, such as a fracture, the consequences can be even more devastating. Fortunately, workers’ compensation benefits can help alleviate some financial stress. An employee may be out of work for a few days or weeks with a mild neck injury. But time away from work can be significant if the injury is more serious, such as in the case of a cervical fracture. Unfortunately, a severe neck injury can cause spinal cord damage. This can lead to physical complications such as paralysis (complete or partial), respiratory problems, bladder/bowel dysfunction, chronic pain, and in some cases, the injury may be life-threatening. The types of complications may necessitate additional treatment. For instance, breathing difficulties may require the individual be put on a ventilator. Bladder dysfunction can cause urinary infections and may require surgery to restore function. Chronic pain is another type of complication that neck injury patients might suffer. This may impact a person’s quality of life significantly. Some might experience psychological complications after a serious neck injury, such as depression. These are just some of the many complications that can develop after a neck injury at work. Of course, the injury also can impact one’s ability to work. 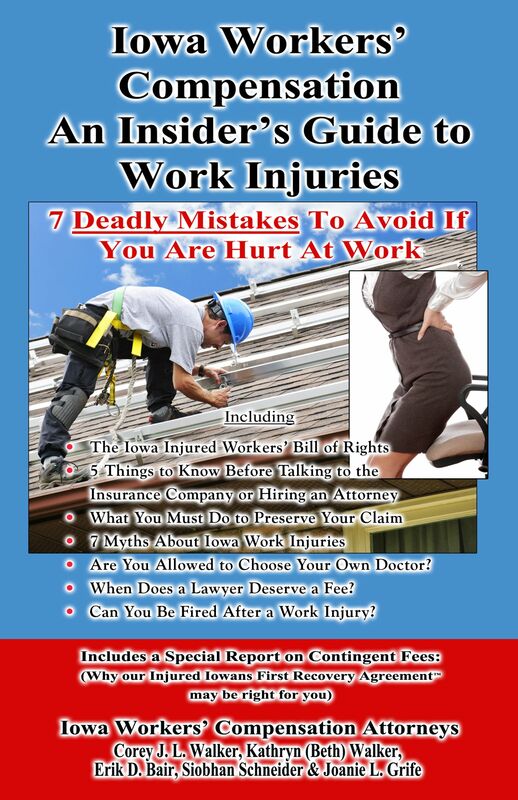 Keep in mind that workers’ compensation benefits may be available if the injury occurred in the scope of employment. These benefits can help cover medical costs and partial earnings. If you were hurt at work, talk to an attorney at Walker, Billingsley & Bair about your right to recover workers’ comp benefits: (641) 792-3595.